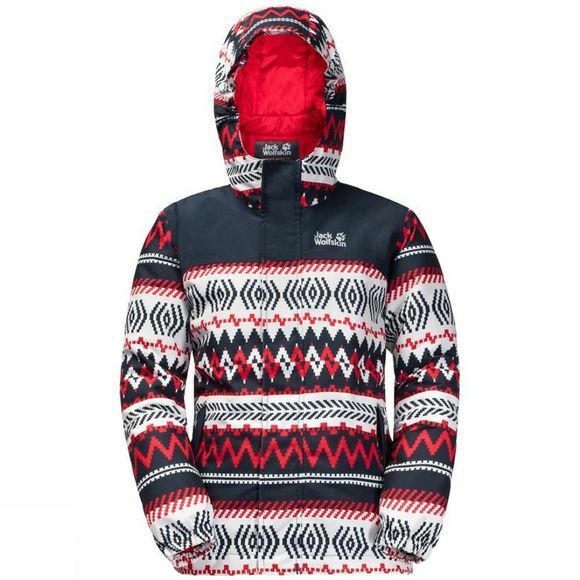 The Boys Kajak Falls Printed Jacket from Jack Wolfskin is made for winter adventures! This jacket is robust enough to cope with snowball fights and sledge races. With its waterproof outer fabric and warm synthetic fibre insulation, it keeps out the weather that might otherwise keep your little adventurer indoors.The jacket also conforms to US safety regulations, so all the adjustment options are either internal or covered. So there is zero chance of getting your jacket snagged on anything.